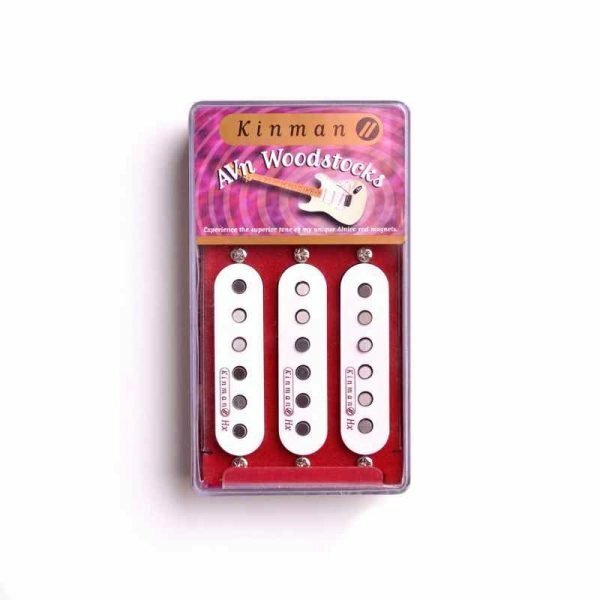 Kinman Guitar pickups will literally transform your guitar to get an almost magical experience. Pickups in this boxed set are three non-aged sound Impersonator Fat 50. Details are on the Single Strat SRV’s Strat* produced a sound with extra bite, presence and harmonic bloom in loud passages and a nice woody bark from the low wound strings and soulful highs in slower passages. The new Kinman Impersonator Fat 50 also produces this sound with added expression factor, without mains hum. SurfMaster (formerly the BrightMaster), has the juiciest sound of all Kinman pickups, it’s the Master Grand Piano of the pickup world. Louder and more dynamic with greater presence than the FatMaster, this pickup has a full bodied sound with a powerful sharp twang and exceptional piano mid-tones. FatMaster: our take on the original sound that we believe is what Leo wanted in the first place. Full bodied sound, bouncy and alive, not thin and lacking girth as original Jazzmaster pickups tend to be. The midrange is well balanced with the right amount of piano-mid-tone detail that delivers exceptional clarity and definition. Exceptional dynamic range (far more than a Strat pickup). Traditional aged Strat sound without the traditional hum and Strat-itis. You can expect to get the authentic old Strat* tone flavor with a set of Traditional Mk-III; absolutely vintage and noticeably sweeter than new pickups. The AVn-69 is the neck and middle pickups in the Woodstock sets. Aged Sound – not as bright as the Non-aged sound models. If your current pickups are too glassy to be useful and the bridge just too bright and thin these pickups are for you. High output with Alnico midrange complexity and detail, exceptional Violin-like sustain under gain, snap derived from extended dynamic range, very full bodied tone (no mud) with loads of FEEL, gratifying low end thump and the meaty presence that surpasses regular Strat pickups. Imagine the best sound Jimi ever got, then magnify the best parts of it ….. that’s what these are all about. It features snappy attack, big dynamic range for a fluid response for Strat* spit and grind. The all new Gen-2 AVn-60n and AVn-48n have arrived. 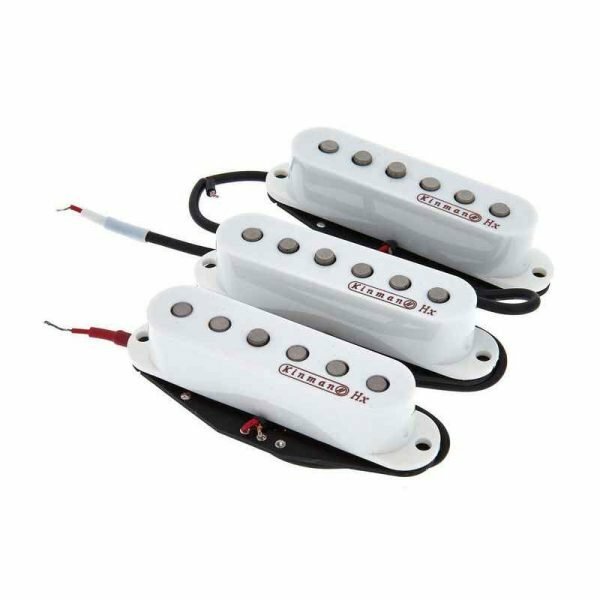 All but the AVn-60b and AVn-48b bridge pickups are now 2nd generation. Our new Gen-2 Tele neck cover is made of Nickel-Silver for durability and has no impact on the sonic character of the pickup. It has an arched top for staggered magnets. Also does not produce buzz when touched. Buy a replacement in the Covers section of Products.